To correctly set up your new Tonybet Poker account you must uninstall any existing software and clear cookies. Check the browser icons for more details. Click the "Download Now" button to start. You'll be taken to Tonybet Poker website to download the poker software and create your new account. Please send us your Tonybet Poker Username you registered at previous step. TonyBet Poker is an Independent poker room launched in 2013 by poker legend Tony G, which has become famous due to televised shows and his loose-aggressive playing style. Known also as Antanas Guoga, the former poker player is a Lithuanian businessman and politician who has been elected as a member of the European Parliament. Since 2013, TonyBet has become known into poker industry especially due to its Open Face Chinese Poker. Moreover, the independent gambling operator offers attractive player benefits and an user friendly environment. The website is mobile friendly and the software available for iOS and Android as well. While the website is licensed in Estonia and most of the traffic comes from Lithuania, TonyBet has been bought in 2016 by Swedish group Betsson. We recommend TonyBet Poker for Open Face Chinese Poker games, where the rake is only 1%. Contact us to confirm tracking of your account or to check whether you are allowed to register. Below you have the main pros and cons for joining the Independent poker room. Players who sign up at TonyBet with Bonus code STARTER are eligible to receive a 100% up to 2.000€ first deposit bonus. The bonus counts for 25% rakeback equivalent and is released in 10€ increments. The bonus is available for 60 days. New players who have registered and verified their TonyBet accounts and made their first deposit using Bonus Code STARTER will also receive a free 10€ ticket to participate into a 2.500€ GTD tournament taking place every two weeks. By registering via RakeAdvisory, grinders who complete harvesting their initial deposit, will also be given the chance to earn reload bonuses on request. These will be available from time to time, all you have to do is to contact us via email at [email protected] with your reload bonus request. TonyBet Poker Promotions are a good source of additional rakeback for grinders, who can now enjoy extra cash prizes by participating in a 3-way learboard for cash games, sit and go and MTTs, called Grinderz League. The total prize pool is 4,000 EUR while prizes are paid every Wednesday into players acounts. Below you can check all details for this main promotion. TonyBet uses a Weighted Contributed rake method with a default rate of 5% rake charged at all NLHE and PLO cash games, having a rake cap of 4 EUR. The lowest rake is however perceived for Open Face Chinese Poker, where players are only charged with 1% of the pot, while the rake cap is 2 EUR. The traffic at Tonybet is mainly driven by Open Face Chinese Poker. However, you may also find NLHE and Omaha cash games traffic, especially in peak hours during European evenings and weekends. According to traffic data provided by the network, TonyBet stands into the top 50 online poker sites leaderboard. You can find about 100 players online on a weekly basis and more than a few hundreds at peak hours. Texas Holdem and Omaha cash games are available in the 6-max format. Main cash games action can be found at micro stakes while highest guaranteed tournaments run during the weekends. Tonybet offers direct cashier and a wide range of payment methods such as Neteller, Skrill, Visa/Mastercard, paysafecard, Paypal, ecoPayz, Bitcoin and others. Players have access to free of charge withdrawals once every 14 days. Alternatively, withdrawals are chargeable a 1.5$ commission. Maximum withdrawal amount is 50,000 EUR, while minimum deposit only 10 EUR. TonyBet has a very strict policy when it comes to payments, therefore all players are required to verify their accounts before cashing out. Due to increased security, some withdrawals might be slower than on other mainstream poker sites. â€‹Being mobile friendly, TonyBet can also attract recreational players who enjoy having fun and joining tables from their iOS or Android devices. The software is designed carefully to comply with industry's best practices and increase user experience for Open Face Chinese Poker games. According to our Tonybet Poker review, players can simultaneously open 6 tables for both cash games and MTTs. This is more than enough for any decent grinder, taking also into account the traffic which is way lower than on mainstream networks. Thus, grinders can tile and resize tables and enjoy multitabling at Tonybet. The software does not automatically support trackers such as Holdem Manager 2 or PokerTracker4. Therefore, if you want to use HUD at the tables, you have to acquire a hand grabber. We provide converters on request with a 50% discount for players who register at TonyBet through us. 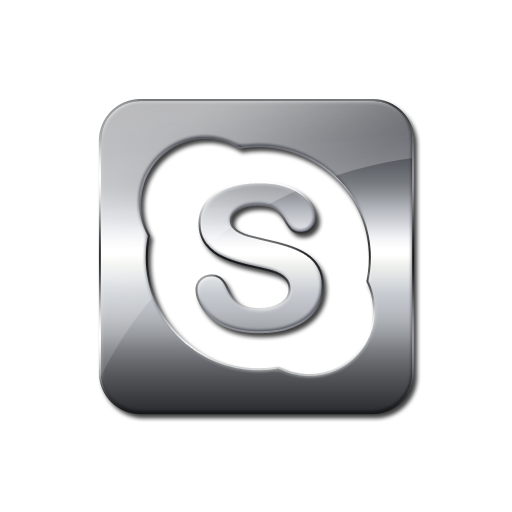 Contact us on skype: ID rakeadvisory after registration to receive your Tonybet converter at a discounted price. Since it's impossible to track all changes occured by gambling legislation movements, we advice you to contact us prior to registering our account at TonyBet to double check you are allowed to sign up from your country.